SD DOT missed these signs on 2nd Avenue. SD St Rt 38 was pulled back to end at I-29 and SD St Rt 42 replaced it through Downtown Sioux Falls to the Iowa/South Dakota State Line. 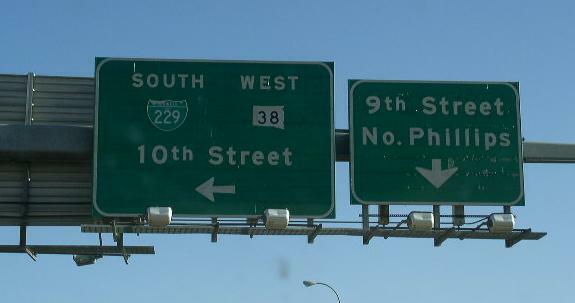 Signs located in Sioux Falls.